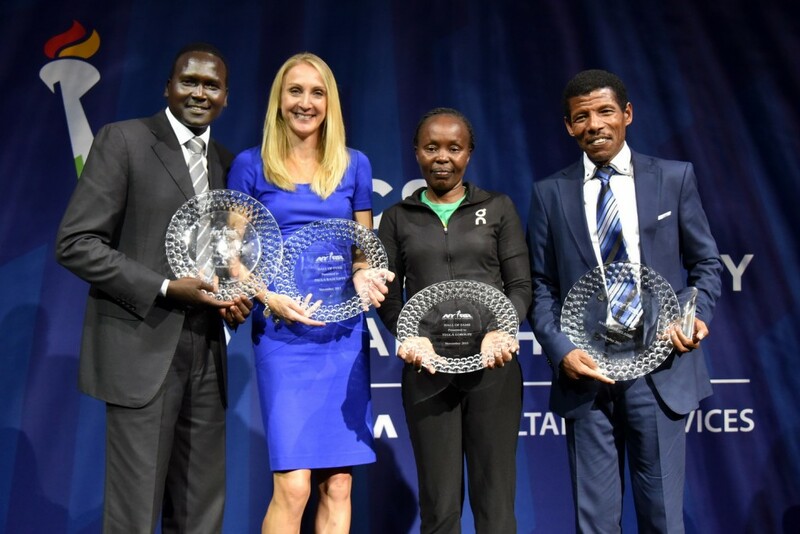 – Paul Tergat, Paula Radcliffe, Tegla Loroupe and Haile Gebrselassie all together at the NYRR Hall of Fame Induction (Photo Courtesy NYRR). We’ve got full video with all of them plus 10 minutes with Gebrselassie, where he reveals his love of running and how he would beat Mo Farah. Haile G tells LetsRun.com how he'd beat Mo Farah - "I'd finish him early"
2015 NYC Marathon Women's Race - Who you got in loaded womens' field led by Mary Ketiany? 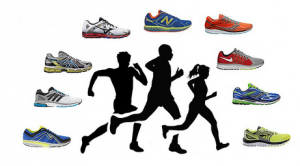 What is it like to be a dedicated runner year round in northern new england?? Couple Meets on Anonymous Message Board -- Could it Happen Here? Friday: LRC 2015 NYC Marathon Men’s Press Conferences: Geoffrey Kamworor Is Committed To The 10,000 In Rio But Very Excited To Run NYC Kamworor said it has been his dream to run in the New York City Marathon. We also catch up with Boston champ Lelisa Desisa, World Champs silver medalist Yemane Tsegay, 2:04 man Stanley Biwott and Mexico’s Juan Luis Barrios. LRC America’s Nick Arciniaga Is Ready For A Top Five Finish And PR In New York Nick also said he thinks there are over 20 guys who have the potential to run sub-2:10 in the marathon at the Olympic Trials. 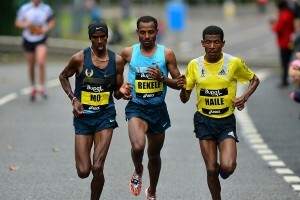 LRC 10 Minutes With Legend Haile Gebrselassie: Geb Reveals How He’d Beat Mo Farah – “I’d finish him early” – As He’s Inducted In NYRR Hall Of Fame With Paul Tergat, Paula Radcliffe And Tegla Loroupe It doesn’t get any better than Thursday in NYC for LRCers as Haile Gebrselassie, Paul Tergat, Paula Radcliffe and Tegla Loroupe were all in one room. 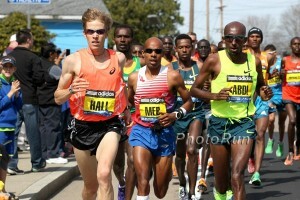 *Bob Larsen Jokes That If Meb Isn’t Recovered For Olympic Trials, USATF Should Just Postpone Them Shhh. Bob, don’t give them any ideas. 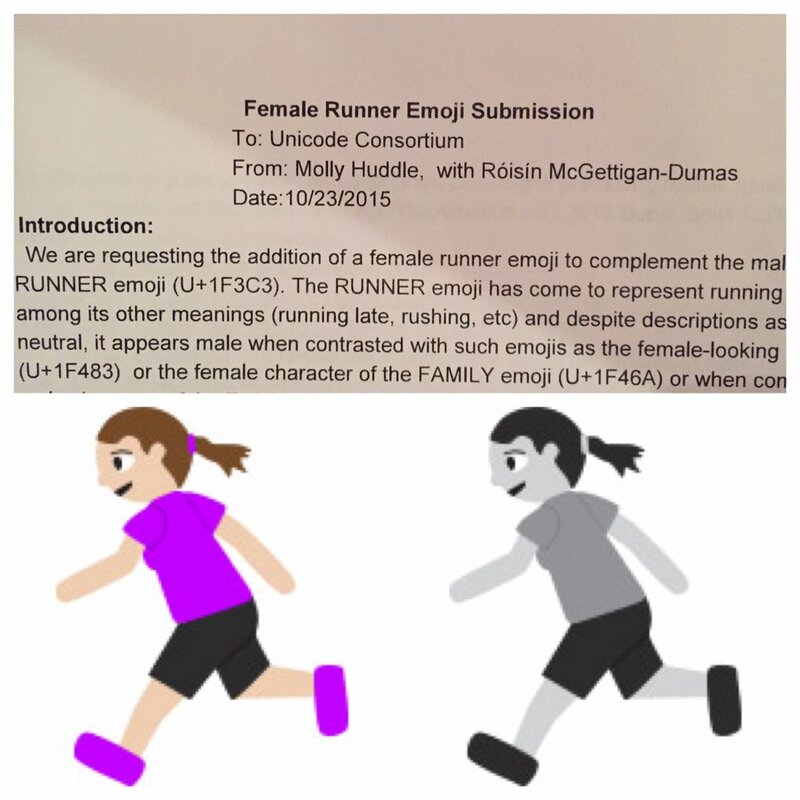 USATF is famously known for doing whatever it wants. LRC NYC Marathon Thursday: A Look Into The Buildups Of Defending Champions Wilson Kipsang And Mary Keitany We get insight into the fitness of the two defending champs. 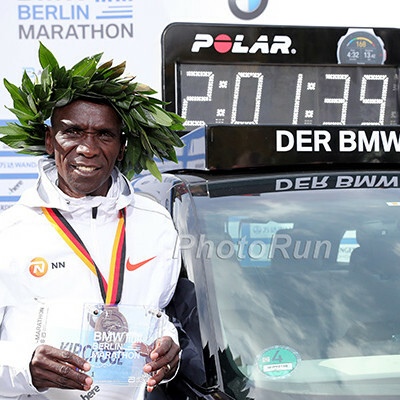 Road, Track, XC, Geoffrey Kamworor Is A “Man For All Surfaces” Kamworor is a “throwback” to a time when runners weren’t so specialized and excelled often on the dirt, roads and track. 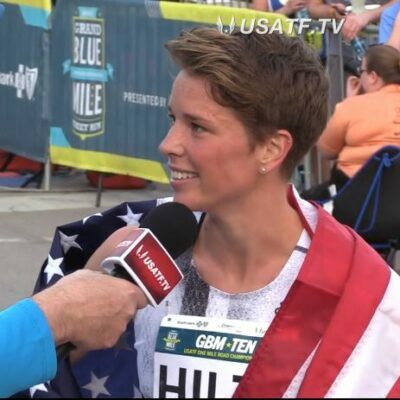 Caroline Rotich’s Coach Says She’s In Better Shape Now Than When She Won Boston Before being coached by Ryan Bolton, Rotich used to make a living racing all the time at second-tier events with less prize money rather than big race/big paydays. Videos: Celebrities Receive Bibs Includes former NY Giant Tiki Barber, retired tennis pro James Blake and Dave Obelkevich, who has the longest streak of NYC finishes (39). Former Tennis Pro James Blake Running NYC; Discusses Police Brutality Blake was victim of an excessive-force arrest when he was mistakenly identified as a suspect. Caitlyn Jenner Halloween Costumes A Huge Seller This Year Like Halloween everywhere else, of course it’s being made controversial. SPIKES: Is James Bond Actually A Track And Field Athlete In Disguise? Canadian Breaks Guinness World Record For Half Marathon In Suit Nicholas Mizera ran 1:35:47 in a blue suit and bow tie. California High School Coach Fired Because Of Parent Complaint? We Hope Alberto Salazar Has Read This: After Accidental Death, Some Scientists Question Cryotherapy’s Safety An extreme version of ice bathing, scientists and health professionals are unsure about benefits and possible negative side-effects. Salazar and the NOP are well known users of the treatment. *Cryotherapy Videos: Mo Farah and Dathan Ritzenhein. 16-Year-Old Sprint Star Candace Hill Is Going Pro The WY champ is currently in negations, but it is rumored that Asics is the favorite to sign her. He’s No Asafa Powell, But Usain Bolt Is Getting Close To His 50th Sub-10 Clocking Bolt has 45 legal sub-10s while Powell has the dominant record with 93 and Maurice Greene is second with 53. Justin Gatlin is close to 50 as well with 46. Bobsledding Is Giving GB Sprinter Mark Lewis-Francis A Second Chance At A Pro Sports Career Lewis-Francis lost his track funding and had a lot of medical bills to pay. 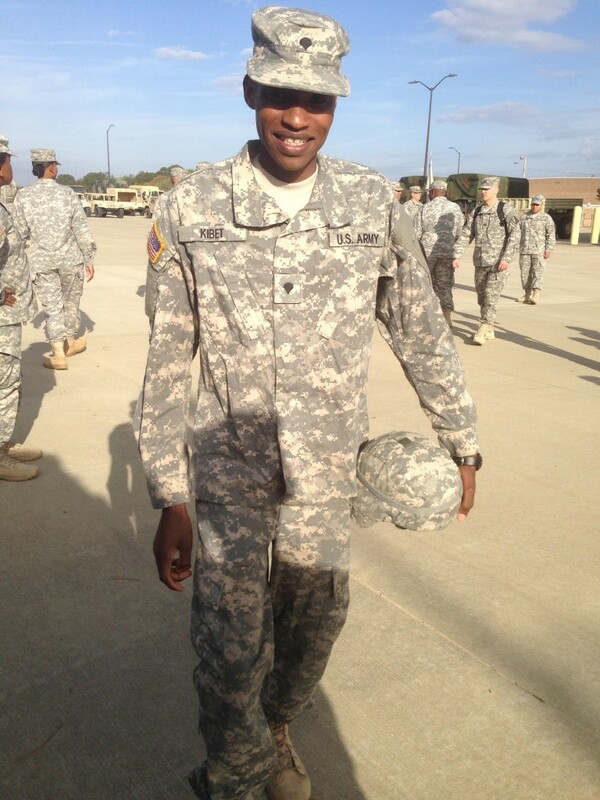 Now he gets lottery funding as a bobsledder and can try to do both sports. Asafa Powell Might Race Less In 2016 To Enhance Olympic Medal Chances After ending the year on a disappointing note, Powell realized the 13 or 14 races he ran before Worlds were probably too many. By contrast, Usain Bolt only ran 6. PAC-12 MB: Colorado Men Do It Again. Stay Undefeated at Pac 12 Meet and Beat Stanford by 11. The Colorado women won as well (narrowly over Oregon). Cheserek and Cuffe take the individual titles. ACC: MB: Syracuse Men Crush It, Virginia Women Edge NC State Thomas Curtin and Molly Seidel grab individual titles. SEC: MB: Arkansas puts on a clinic at 2015 SECs. Men win with 25, Women win with 38!! Antibahs Kosgei and Dominique Scott are individual champs. Ivy Heps: MB: Columbia Men And Princeton Women Win The Lions were way ahead at 7k but barely hung on. Awad and Bird take the individual titles. Mountain West: MB: #1 New Mexico Women Roll, Air Force Men Pull Out Squeaker Allie Ostrander and Jerrell Mock are your individual champs. LRC LetsRun.com NCAA Cross-Country Fan Polls Conference Edition: Colorado And New Mexico Are Dominant National #1s You, the most knowledgeable fans on the planet, have voted. Find out the results. LRC 2015 NCAA XC Conference Preview, Part II: What To Watch On Saturday & Sunday We break down the Big 12, Big 10, and Big East for you. LRC 2015 Heps XC Preview: Breaking Down The Men’s Race In Just 3,700 Words As Heps Returns To VCP For The First Time In 5 Years Ivy League trust fund babies, we know you don’t have to work, so spend a half hour on this 3,700-word preview. WADA Issues Statement Saying They Are Against The Criminalization Of Doping In Sport We 100% think it should be criminalized. 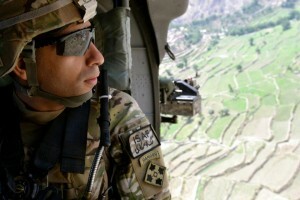 That way, governments will have subpoena power and possibly even be able to search homes. UK Sports Minister Tracey Crouch Says The Government Is Looking Into Possibility Of Making Doping A Criminal Offence We’re all for it. Betsy Saina Joins Bowerman Track Club The former NCAA champ from Iowa State represented Kenya at Worlds, where she was 8th in the 10,000. Now Back From Pregnancy, Former World Junior XC Champ Pauline Korikwiang Shooting To Make Kenya’s 2016 Olympic Team In The 10,000 Korikwiang has no results from 2013 or 2014, but has made a comeback this year finishing 8th at the Kenyan World Championships Trials. Security Lines At The Marine Corps Marathon Kept Some Runners From Making The Start Some runners waited for more than an hour to get to the start. Nov. 8: Kenya’s Elijah Kiprono Kemboi (2:07:34) Leads Field For The Beirut Marathon He’ll face Ethiopia’s Edeo Mamo, Jackson Limo of Kenya and Bahrain’s Isaac Korir. Recommended Read: The Story Of How Japanese Citizen Runner And LRC Hero Yuki Kawauchi Came To Be Learn about the “penalty laps” his mom used to make him run as a 7-year-old, his transformation from injured/burnt out high schooler to a 2:08 marathoner, and his life as a pro, which apparently includes accepting no appearance fees. Sally Kipyego Is “Excited” But “Anxious” Ahead Of Her Highly Anticipated Marathon Debut As of March 2014, Kipyego had never run more than 14 miles, so just doing 20+ mile runs in marathon training has been a big change. 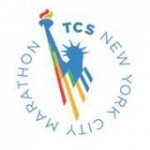 Wednesday AM In NYC: Meet Haile Gebrselassie, Wilson Kipsang And Jen Rhines At New York Running Company Shoe Store From 8AM to 10AM, meet these three marathon greats for autographs, a shake-out run and breakfast. 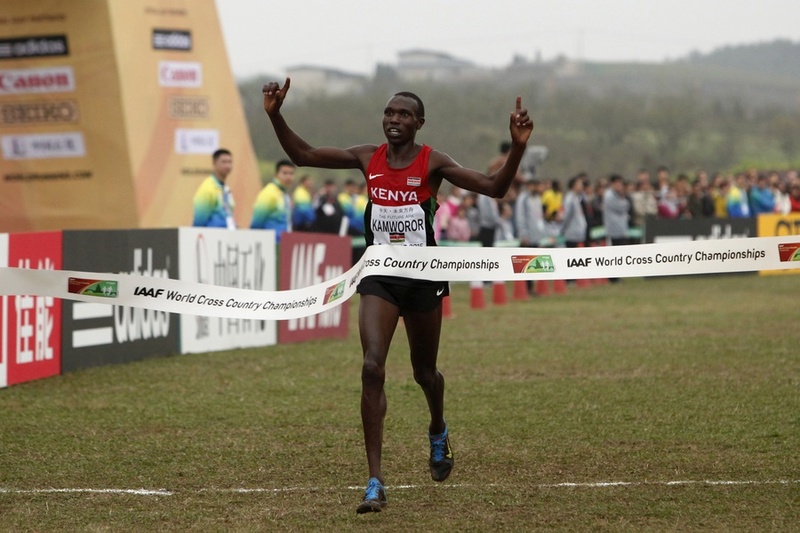 Short Interview With World 10,000 Silver Medalist / World XC Champ Geoffrey Kamworor He says he’s done everything the same in training as Eliud Kipchoge so got a lot of confidence when Kipchoge won Berlin. Columbia XC Photo Essay Check out the day-to-day of an Ivy League cross-country team. All-American And Oregon Alum Daniel Winn To Join B.A.A. 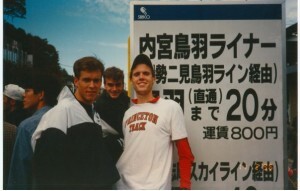 High Performance Team After graduating this year, Winn won 1,500m silver at the NACAC Championships. 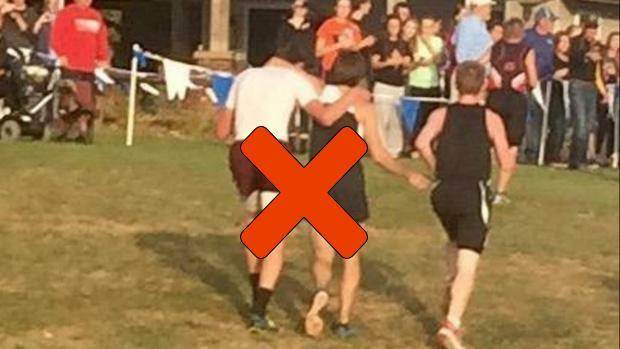 Dennis Young Calls For An End To “The Assist” At The End Of Races Recently an Iowa high schooler was DQed for helping a collapsed runner finish and Young agrees he should have been. *MB Archive: Collapsing at the 6km XC finish? A new thing? Theatrics or real exhaustion? Another Strike Against Rio: Doha To Replace Rio De Janeiro As Host Of The 2016 ANOC General Assembly Meeting This breaks the tradition going back to 1983 of the Olympic host holding the last General Assembly before the Games. Heartbreaking Video Of Kenyan Collapsing And Failing To Make It To The FInish Line At The Victoria Marathon 2 Weeks Ago Tisia Kiplangat was leading near the end, but had to DNF with 800m left. Haile Gebrselassie’s Sister Passed Away After Fighting Battle With Cancer Geb was supposed to run his last competitive race at the Great Scottish Run in September, but had to miss it to be with his family. 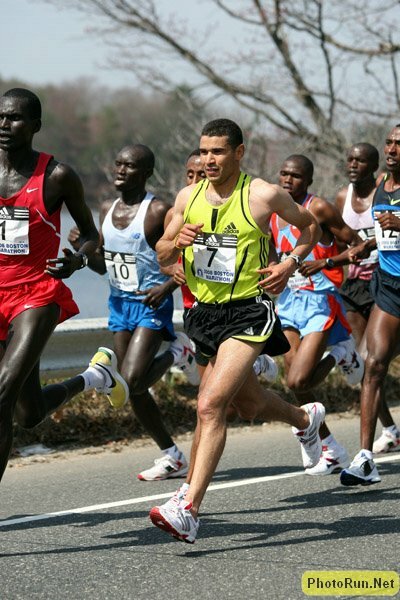 LRC WTW: Chris Solinsky Doesn’t Do 26.2, Arne Gabius Does Do 26.2, Remembering When 2:06 Was Really Fast, Meb K Has Run A Lot And Wilson Kipsang Is Psychic Quick quiz: How many African runners have run sub-2:10 this year in the marathon? Non-Africans? We tell you the answer.